For visitors to the Howmore hostel, during its first 36 years, getting to Eriskay meant an excursion south by road and ferry, involving a timetable and the planning of a return trip. Then in 2001, all changed. No longer was Eric’s Island, from its Norse name, a place of destination; it became a part of transition, of getting away. 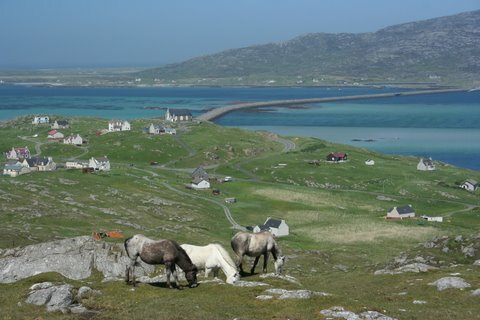 The largest civil engineering project ever seen in the Outer Hebrides, the Eriskay Causeway, was completed and CalMac started a 40-minute crossing to Ardmore on Barra from Ceann a Gharaidh, a southern part of the island.